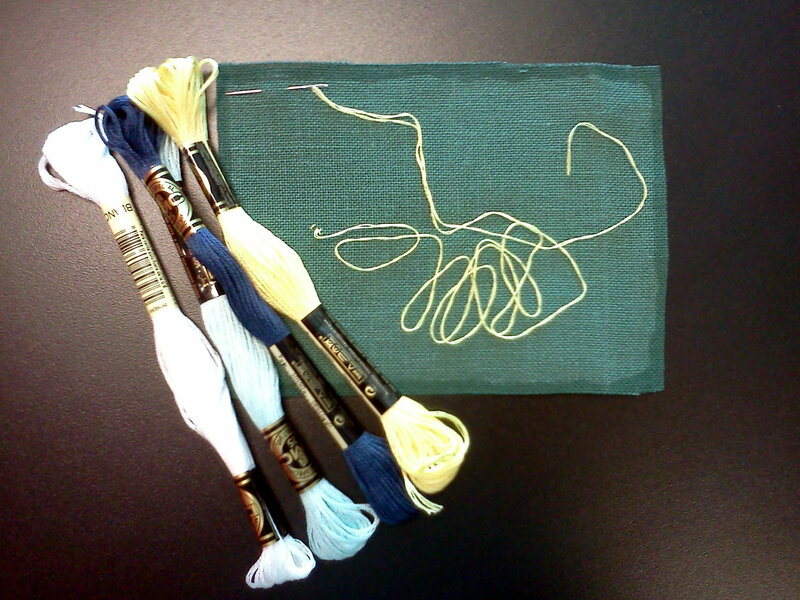 Posted on May 10, 2013	by Alice C.
In my last post, I mentioned that I joined my local Embroiderers’ Guild chapter. One of the requirements of the chapter is that each member must stitch a name tag for him/herself. I saw some great, creative name tags at the meeting on Tuesday, and, even though new members have up to 3 meetings to finish their name tag, I got started on mine right away. I didn’t want anything too complicated, and I wanted my name to be large enough to be seen from a distance — otherwise what is the point of wearing a name tag, right? I whipped out the graph paper and fired up my design software and created a simple design that would finish up no bigger than 3.5″ by 2″ if stitched on 32ct fabric. My final design is 53 stitches by 27 stitches, which works great. The dark stain around the edges of the fabric is from the Fray Check. I love Fray Check for keeping the edges of my fabric from…well, fraying. I hope to finish the name tag this weekend, so I will have more — hopefully better — photos next week. 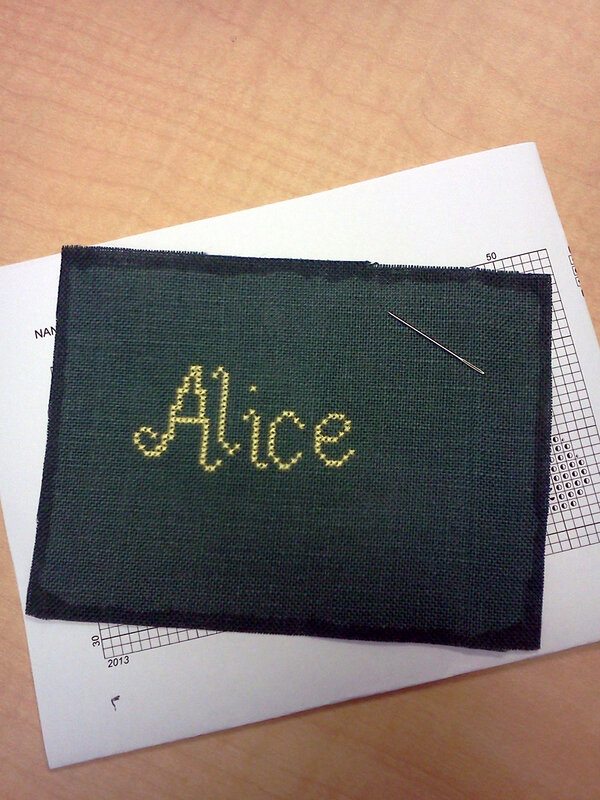 This entry was posted in Cross-Stitch and Needlework and tagged cross stitch, ega, guild, name tag, wip. Bookmark the permalink. This looks lovely, such a pretty font!